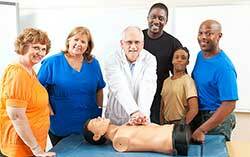 Thank you for registering for a training class with WorldCPR Learning Centers (WorldCPR)! Before you get started with registration; if you are taking this course as required for your job, please check with your employer as some workplaces require a specific course. 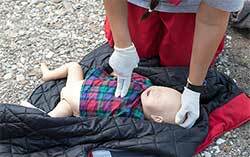 WorldCPR wants to ensure you are registering for the correct course. If you are sure you have the right class, please continue below. To register, please complete the form below. Once the form is complete you will be forwarded to PayPal to complete payment. Please view our schedule for days/times that your selected class is available. To register with a coupon or voucher, registrations must be done by contacting WorldCPR by phone/text (301) 793-7551 or best by e-mail training@worldcpr.com . Registrations are not complete until you’ve received an e-mail confirmation. Please select a date and time from our schedule for the class you wish to attend. Submitting this registration and completing the transaction confirms you have read, understand and agree to WorldCPR Policies & Terms of Service. It also confirms you agree to the payment for the registration which is only refundable if canceled per WorldCPR policies within 24 hours of the completed registration if course is not the same day.